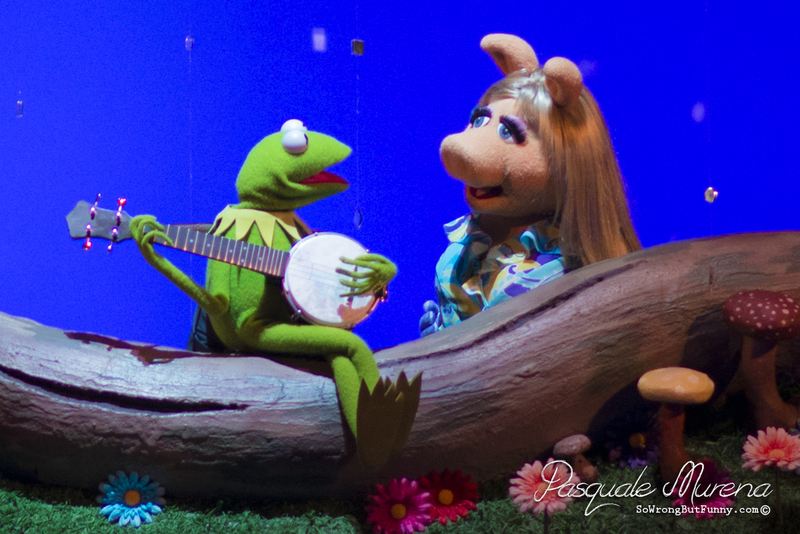 Seeing Kermit the Frog and Miss Piggy live was a thrill for the inner child in me that I never hide. At Disney’s El Capitain Theater the greatest couple made of felt performed each show before their newest film. The Muppets have always been important to me, being able to share that with the vital people in my life was an exuberant event. The stars of the silver screen performed numerous songs but most importantly they sang, “Rainbow Connection.” Can you imagine sitting in a theater, lights dimmed and two of your favorite characters on film sing one of your favorite songs live? I can because I lived it. Photography by Pasquale Murena; Live Events Photography.